Alkane Resources (ASX: ALK) is a multi-commodity company that defies attempts to put it into an easily recognisable box, but the successful explorer and producer shows you can forge your own path and still create lots of value for shareholders along the way. To some investors, Alkane is a cashed-up and well-run gold producer. Its 100%-owned Tomingley mine, near Dubbo in New South Wales, has churned out about 70,0000 ounces per annum from openpit mining over the past five years. The mine has run at an all in sustaining cost of about A$1,000/oz, which has created a considerable cash pile. At the end of December, 2018, Alkane had $74 million in the bank, plus bullion and listed investments worth a further $7 million, including a stake in rapidly emerging Pilbara gold explorer Calidus Resources. 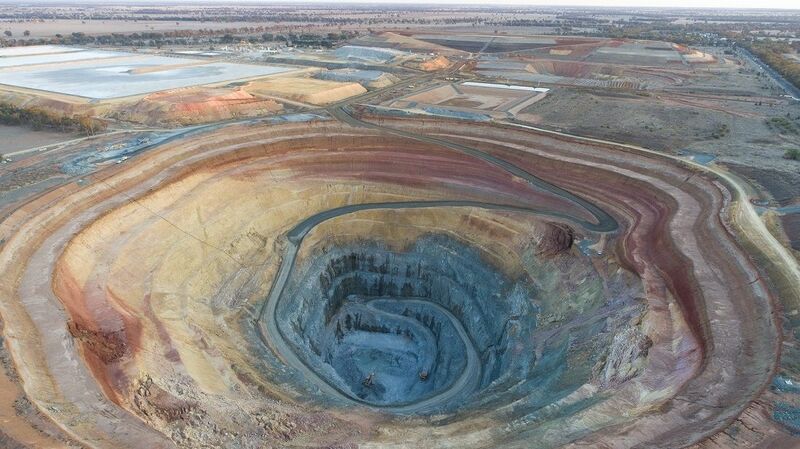 With the depletion of opencut reserves at Tomingley, the mine is transitioning to underground operations this year, which will see production reduce to about 30,000oz per annum. Costs will rise slightly, but with AISC still below A$1,150/oz and an Australian dollar gold price north of A$1,800/oz, there is much more value still to be extracted. Underground reserves currently support a mine life of three years, but there is plenty of exploration upside. The other view of Alkane revolves around the Dubbo project, which is based on the flat-lying, outcropping Toongi deposit with a rich mixture of zirconium, rare earths, niobium and hafnium. Alkane has doggedly pursued the project for two decades, and it looks like its time is finally set to arrive. A June 2018 definitive feasibility study concluded the Dubbo project, if approved, could generate A$4.7 billion in undiscounted free cash flow over an initial 20-year mine life and transform Alkane into a significant world producer of critical technology metals. Alkane's managing director, Nic Earner agrees a multi-commodity portfolio makes the investment story more difficult. "We don't fit into any particular box, but Alkane has an easy-to-understand value proposition. We are a great exploration outfit that also happens to be skilled at developing and running successful mines. We are not limited by the nature of the commodity, as long as it's something that can create a lot of value for shareholders." Earner, a chemical engineer and formerly Alkane's chief operations officer, said Alkane had a long history as a highly successful explorer, which had generated the kind of opportunities beyond the skill set of most other juniors. Much of this was due to former managing director, Ian Chalmers, who stepped down in 2017 after 11 years at the helm. Alkane managing director Nic Earner: "We don't fit into any particular box, but Alkane has an easy-to-understand value proposition"
"Alkane established a terrific pedigree under Ian, whose involvement with the company goes back to the 1980s. He led discoveries that gave rise to the spin off BC Iron. Along with one of our former senior geologists, Ian was also a founding director of Northern Star, which is now a A$6 billion gold company known worldwide. "He also led the exploration team that discovered the two million ounce McPhillamys gold deposit, which Alkane joint ventured to Newmont and subsequently sold to Regis Resources in 2012. McPhillamys is still the biggest gold discovery in the Lachlan Fold Belt since the Cadia copper-gold porphyry back in the early 1990s." Alkane is not shy about selling assets created by its crack exploration team, but the Dubbo project has stayed firmly within the fold for decades as a core asset. Furthermore, the project has been taken forward relentlessly over the past two decades, even through the 2011 crash in the rare earth market. Alkane is one of handful of rare earth developers worldwide that survived that period. "The fact we could keep going with Dubbo was thanks to our gold assets, which proves that being a multi-commodity company has actually served our shareholders very well. And because we didn't have to take our foot off the accelerator, Alkane today is arguably the most advanced of the rare earth developers in Australia." The Dubbo project is ready to go. The final piece of the puzzle is an offtake agreement (there are already seven letters of intent with potential customers) and A$808 million in funding for a stage 1 development. Alkane has acquired 3,500 hectares of land around the project, locked away all necessary state and federal government approvals and completed the front end engineering and design. The flow sheet for the processing plant is a metallurgist's dream, churning out no less than five zirconium products, which are high-value-added and take Australia up the value chain from the mineral sands export industry. The project is also designed to produce nine rare earth and exotic products for rapidly expanding markets such as permanent magnets and other speciality industrial uses. The flow sheet was developed after a decade of testing, including more than 60 runs of pilot-scale trials at Australia's Nuclear Science and Technology Organisation. ANSTO is a federal government agency and Australia's premier nuclear and mineral testing facility. A recent report by Edison Investment Research breaks down the value drivers in the Dubbo project. 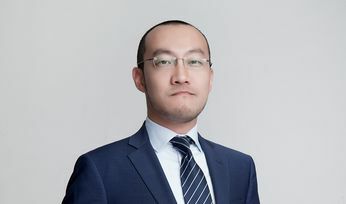 The Toongi deposit is unusual among the world's rare earth projects because of its high content of zirconium, which is projected to account for 47% of the project's life of mine revenues of A$4.7 billion. Rare earths account for another 33%, followed by ferro-niobium (13%) and hafnium oxide (7%). Within the rare earths, the main sources of revenues will be neodymium (46%) and dysprosium (23%), followed by praseodymium, terbium and yttrium. Edison notes that, when zirconium is factored into an equivalent grade of total rare earth oxides (TREO), the Toongi deposit sits among the three highest-grade rare earth deposits in Alkane's global peer group. It is also boasts the largest resource among this high-grade group, with resources to potentially support a mine life of 75 years. The Dubbo project's exceptional grade and resource figures underpin the potential for a financially strong project. Based on modularised construction and a two-stage build to reach 1.0Mtpa, the DFS estimates a pre-tax net present value of A$909 million and internal rate of return of 16.1%. These figures improve to A$1,236 million and 17.5% respectively by building a single, 1.0Mtpa plant. 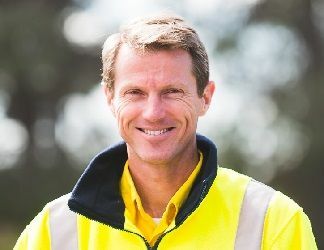 Earner said he is bullish about the Dubbo project securing the funding it needs to sanction stage 1 development, despite customers and policy makers continuing to kick the can down the road when it comes to concerns over Chinese supply. "Western governments just can't afford to keep allowing China's heavily subsidised rare earth miners to retain a stranglehold on the global market. And I am not just talking about the strategic value of these technology metals in defence and industry. It's ultimately about the fight to have competitive industries in your country and all the employment that supports," Earner said. In the meantime, Alkane is creating upside around its Tomingley mine. A regional exploration program is underway, but some of the best early results are from near the mine. The latest round of RC drilling at the Roswell prospect, 3km south of the mine, delivered impressive intercepts, including 9m grading 8.43gpt from 123m within a broader interval of 39m grading 4.49gpt. A number of holes at Roswell ended in mineralisation, which has now defined over a strike length of 350m and remains open to the south. Alkane is also investigating the potential to extract more gold from its decommissioned Peak Hill deposit, also near Dubbo. The mine produced 153,000oz between 1996 and 2004 as a heap leach operation. The company recently released a new resource estimate of 1.02Mt grading 3.26gpt for 108,000oz and is working on metallurgical testing. Beyond these activities, Alkane is putting part of its cash to work by investing in junior gold explorers. 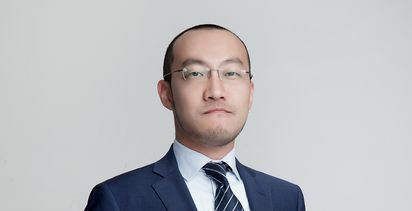 It's a new strategy under which Alkane will take equity positions and potentially support development financing. The first such move was a A$3.7 million placement in October in Calidus Resources, which has subsequently lifted the gold resource at its Warrawoona project by 75% to 1.25Moz. Not many junior gold companies have the luxury of investing in their peers, but such is the payoff for Alkane's skills and determination to beat its own path.